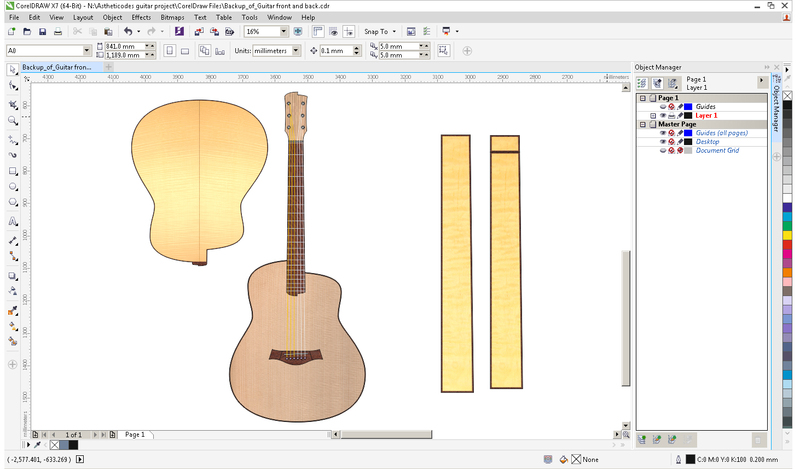 This section lists the key specifications of the guitar itself. Mother of pearl inlay dots on top binding at 3rd, 5th, 7th, 10th and 12th frets (note the Gypsy Jazz style of marking the 10th rather than the 9th fret). Hiscox Pro II in Cream. This section lists the key specifications of the software that is used to interact with the guitar. The following provide information about how to maintain the guitar. 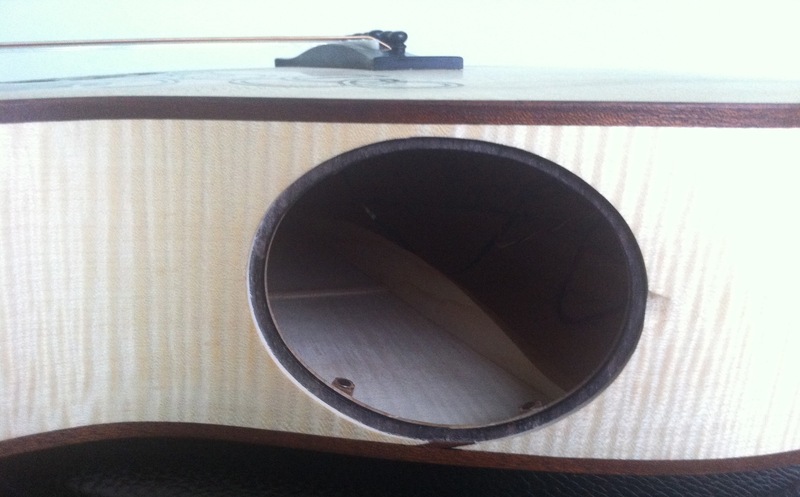 Remove the top sound hole (held in by magnets). The battery pack is located in a fabric holder that is velcroed just inside this sound hold towards the lower bout of the guitar. 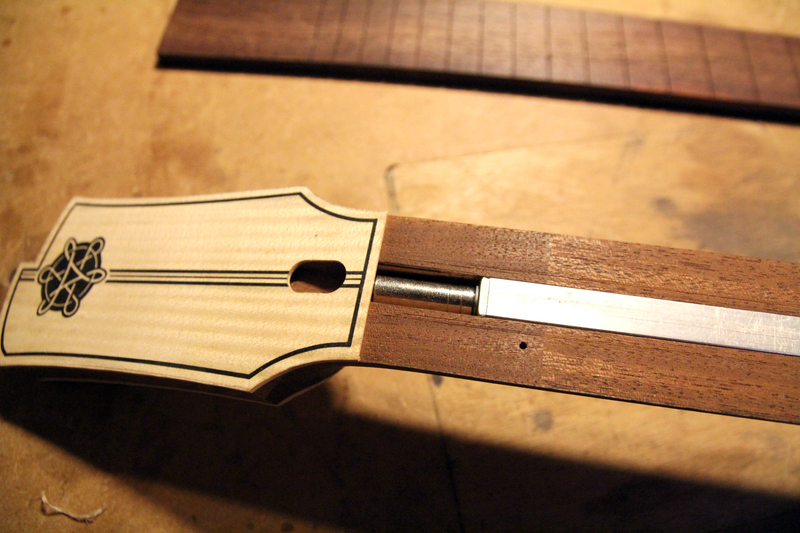 Lift off the wooden truss rod cover on the front of the headstock. To change the software configuration contact either Kevin Glover (who manages the Aestheticodes software), Steve benford or Adrian Hazzard by email at first name.lastname@nottingham.ac.uk. You can edit the config file and send them a new version or request them to make specific edits. The following is the history of maintenance. Adrian Lucas of the Newark Guitar Workshop lowered the actions and straightened the alignment of the strings. 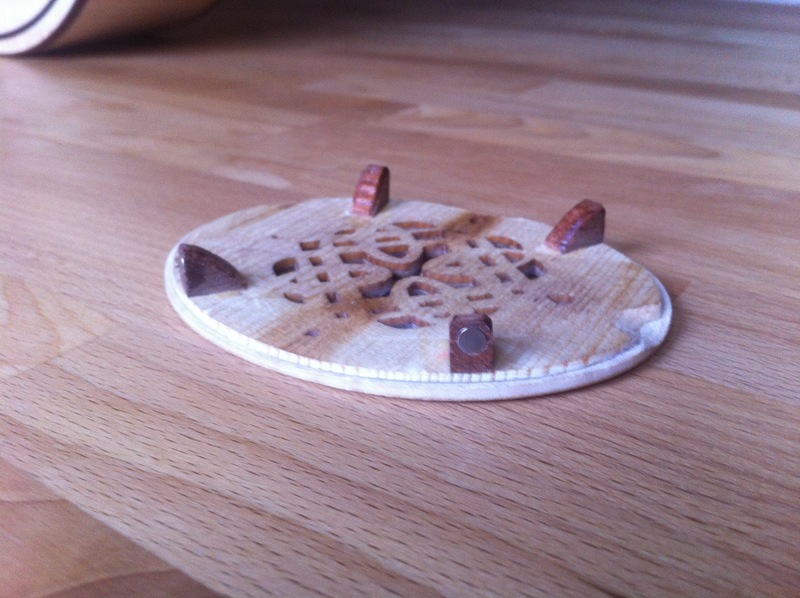 This involved thinning out the bridge and also plugging and subsequently redrilling the holes for the bridge pins. Work completed 15th October 2014.